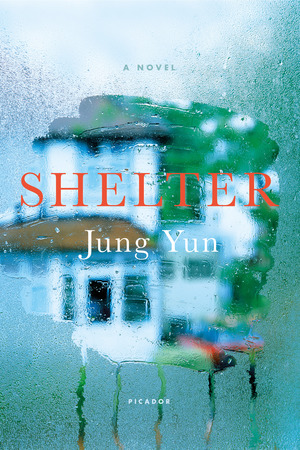 Jung Yun is the author of the new novel Shelter. 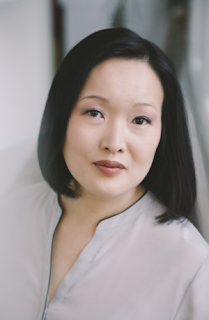 Her work has appeared in Tin House and The Massachusetts Review, and she works at the Institute for Teaching Excellence and Faculty Development at the University of Massachusetts Amherst. She lives in Western Massachusetts. Q: How did you come up with your main character, Kyung? A: Kyung started out as just an image. I was thinking about a man staring out his kitchen window and seeing his elderly mother in the backyard, naked. At the time, I was exploring some ideas about adult children transitioning into a caretaking role for their aging parents, and feeling both obligated but inconvenienced by the responsibility. I was also interested in writing an unlikeable main character, albeit a justifiably unlikeable one. Kyung’s a hard man—I don’t think anyone would really want to go out and get a beer with him—but I do hope that readers understand why he turned out the way that he did. Q: The book is divided in three sections, Dawn, Dusk, and Night. Did you stick to a three-part outline as you wrote, or did you make many changes as you went along? A: I don’t outline before I start working on something new. I just overwrite until I start seeing the key plot points, few of which I plan in advance. Once I know my characters well and have a clear sense of who they are and what situations they might find themselves in, I cut everything extraneous and start connecting the dots in a way that feels true to them. “Dawn” always made sense to me for part one because so many parents begin their day by taking care of their children’s needs first. I thought this would be an interesting point in time to enter the story since Kyung soon has to take care of his parents’ needs too. The three section, three chapter, three part structure didn’t fully emerge until I was about halfway through the first full draft, and by that point, it felt like the rhythm of the book was well established. Q: What impact do you think generational and cultural differences have when it comes to the dynamics between Kyung and his parents, and do you think Kyung's experiences reflect those of other second-generation Americans? A: Second generation immigrants (and “1.5 generation” immigrants like Kyung) are really interesting to me because they defy generalization. Some retain their traditions, others assimilate fully, and many are an unpredictable mix of the two worlds from which they come. Kyung has more or less assimilated except for the fact that he still feels obligated to his parents, and his parents, in turn, still feel entitled to his filial piety despite their past actions. So much tension results from the characters’ deep-seeded resentments about traditional roles not being fulfilled. There’s also the tension that Kyung feels, having watched his parents make good on the American Dream, to do as well or better than they did. Q: How did you pick the book's title, and what does it signify for you? A: The manuscript had four or five different titles before "Shelter," none of which felt entirely right. The first time I spoke on the phone with my editor, Elizabeth Bruce (before she bought the rights to my book), she asked if I’d be amenable to thinking about alternate titles, which I was. "Shelter" was the result of a lot of three-way brainstorming with Elizabeth and my agent, Jennifer Gates. We came up with so many awful possibilities (I mean, really awful...) before Elizabeth and her colleagues suggested "Shelter." That instantly seemed right given the many different definitions of “shelter,” all of which apply to this novel. A: I’ve had a really long love affair with libraries. By the time I was eight, I had checked out all of the children’s books from my public school library, and every two weeks, when the city’s bookmobile stopped in my neighborhood, I was always the first kid in line. My library card kept me engaged with the world during a particularly awkward, isolating adolescence. And in my mid-twenties, I had the privilege of working at the New York Public Library, which is where I decided to start writing again (I had basically given it up when I started college). I feel so fortunate that I had access to all of these great, free libraries throughout my life, and I’m pretty sure I wouldn’t be sitting here answering your questions if they hadn’t existed.